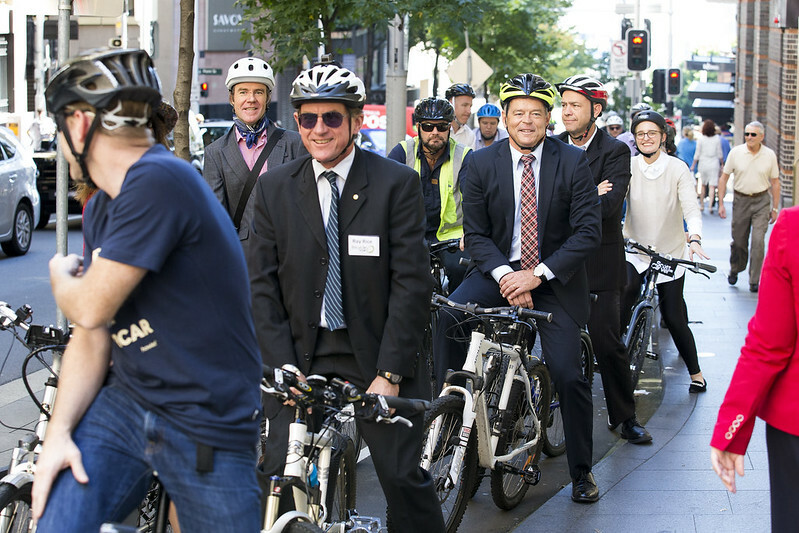 Bike riding CEOs, managing directors, lawyers and business industry heavyweights turned heads on Sydney’s streets today as they led the first-ever Sydney Suit Ride through the city. 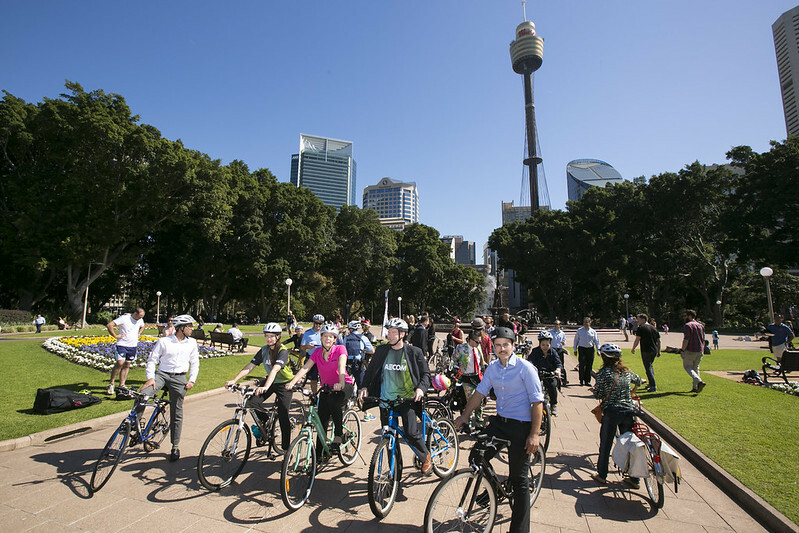 Around 50 riders took part as lunchtime crowds clapped, waved and cheered on the unusual peloton. 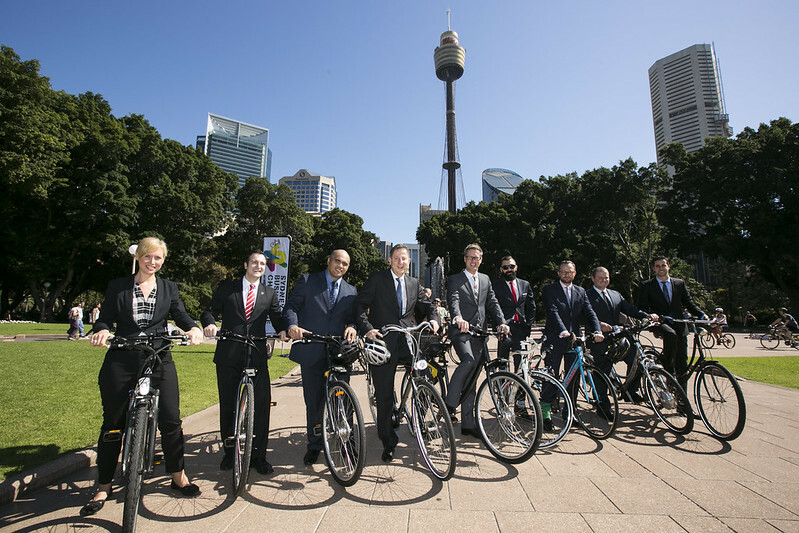 The Sydney Suit Ride marked the final week of the Sydney Rides Business Challenge. 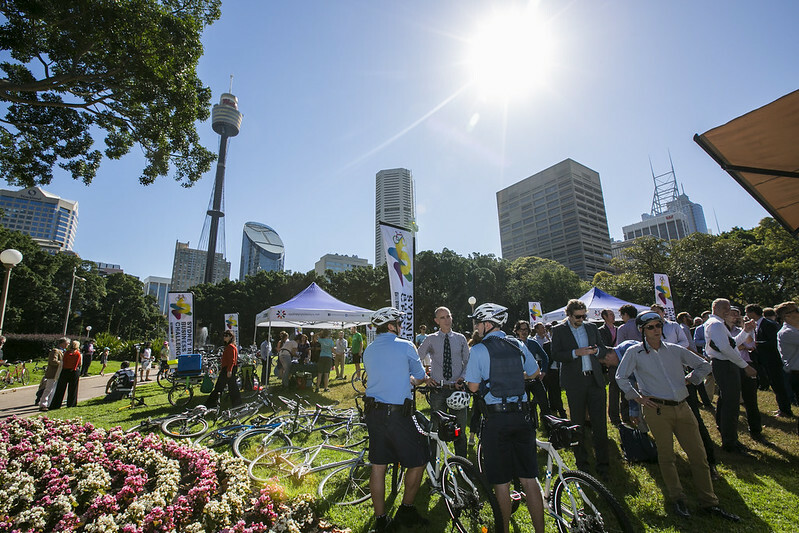 More than 4,200 employees from 288 organisations are taking part – making the Sydney event the biggest of its kind in the world. 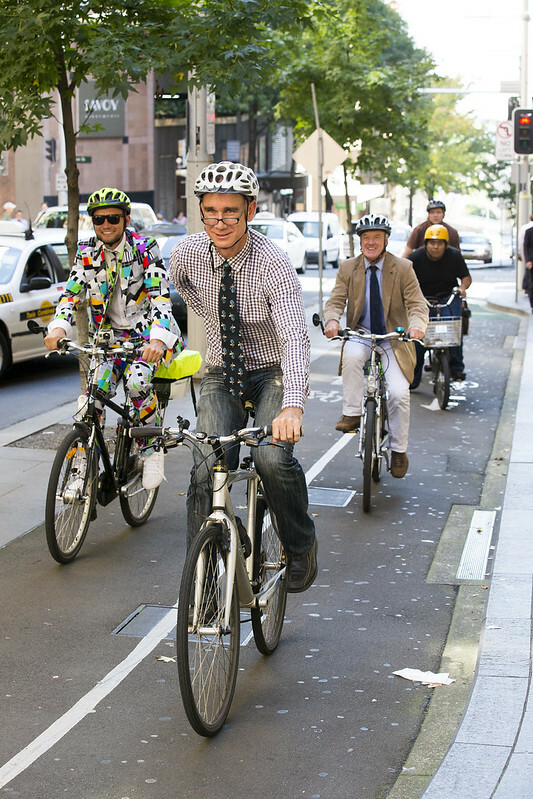 These businesses recognise that healthy and active employees boost productivity and benefits the bottom line. 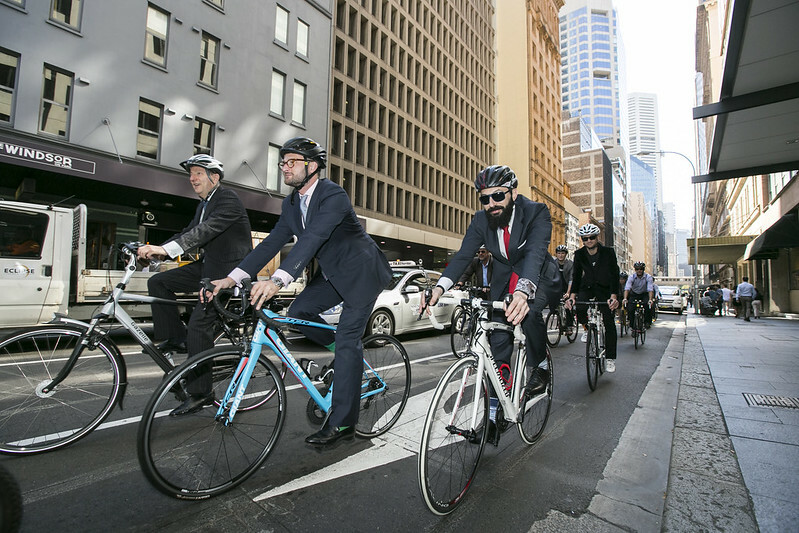 Companies taking part in the Sydney Suit Ride included the Hilton Hotel, the Heart Foundation, JLL, Lend Lease, Maurice Blackburn lawyers, Scott Carver architects, AECOM, Atlassian, the NSW Office of Finance and Services and peak groups, including the Australian Bicycle Council and Bicycle NSW. 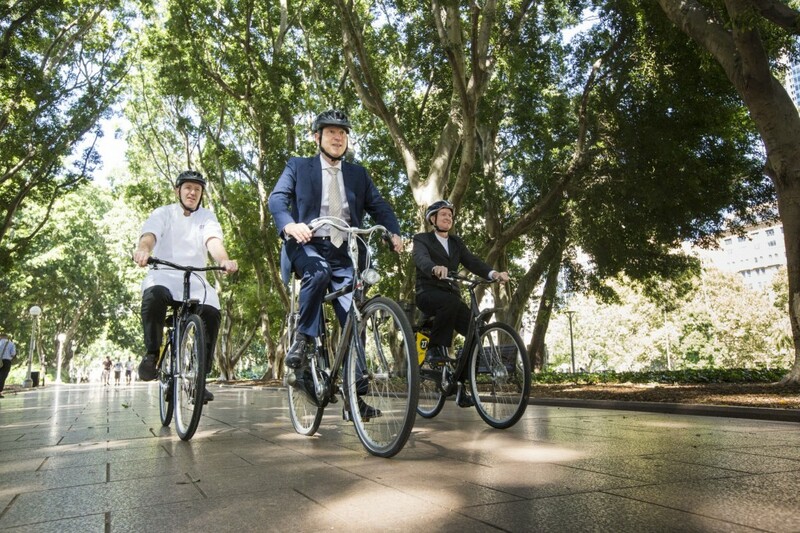 Hilton General Manager, Ronald van Weezel, was one of the leading forces behind today’s ride. He predicted it would be the start of something big. 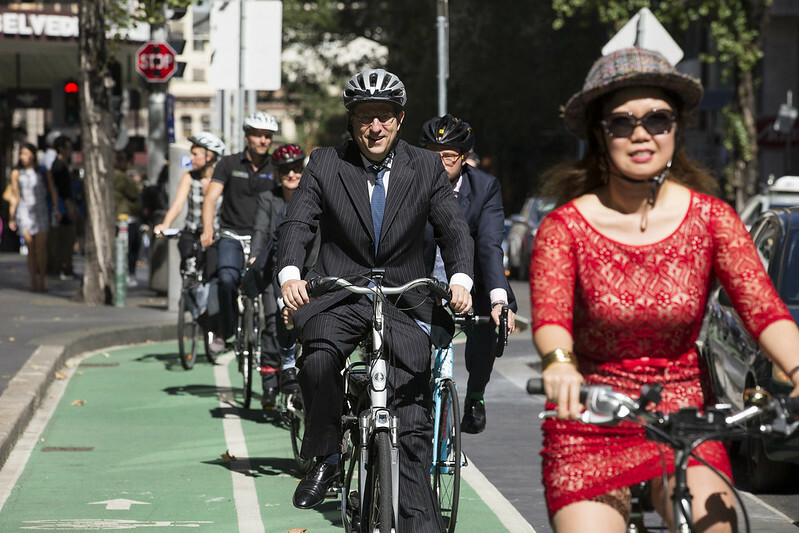 “We certainly turned heads today and I’m very pleased that the traffic happily adapted to a large group of riders in the city. 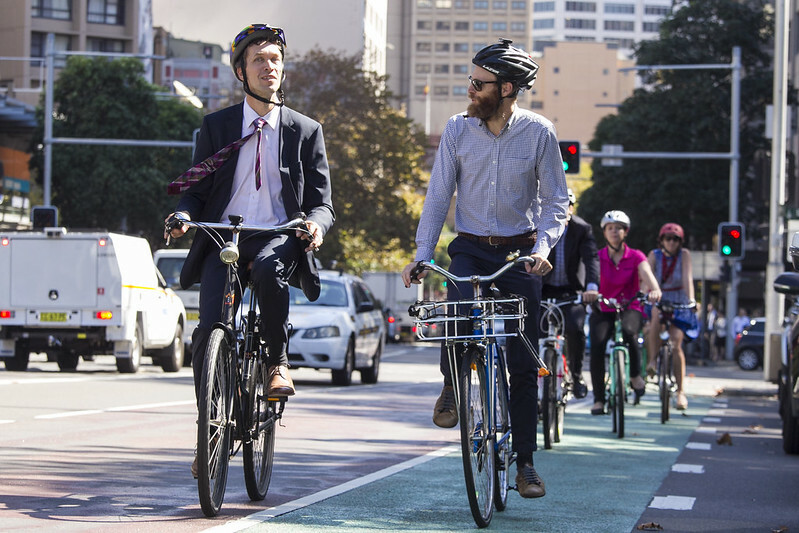 I think this is also the start a conversation for businesses about how easy and enjoyable riding is in Sydney and for getting from A to B,” Mr van Weezel said. 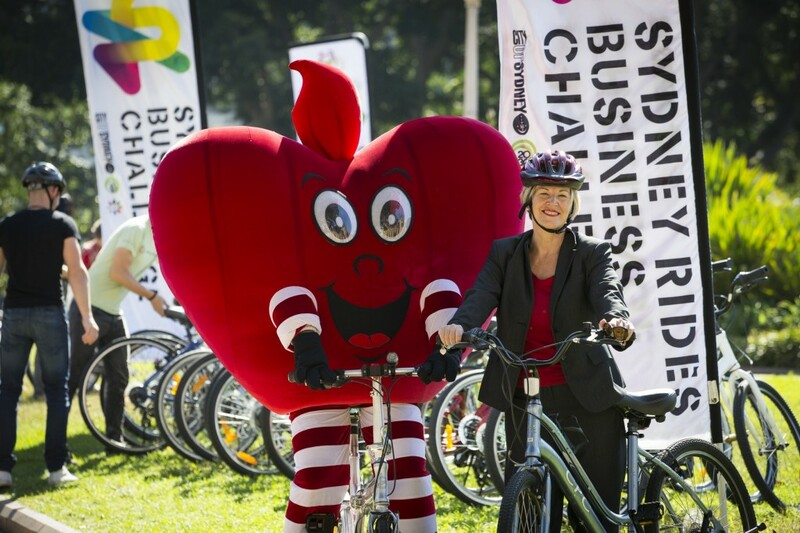 NSW Heart Foundation director for cardiovascular health, Julie Anne Mitchell, described the ride as “empowering”. “There was so much good will on the streets. 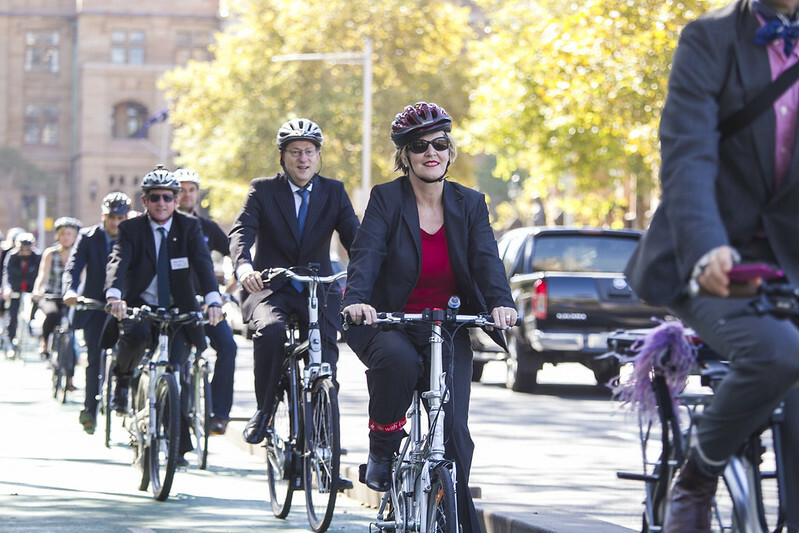 I think seeing a group of people in suits riding will go a long way to challenging the stereotype of who actually rides in the city,” said Ms Mitchell. 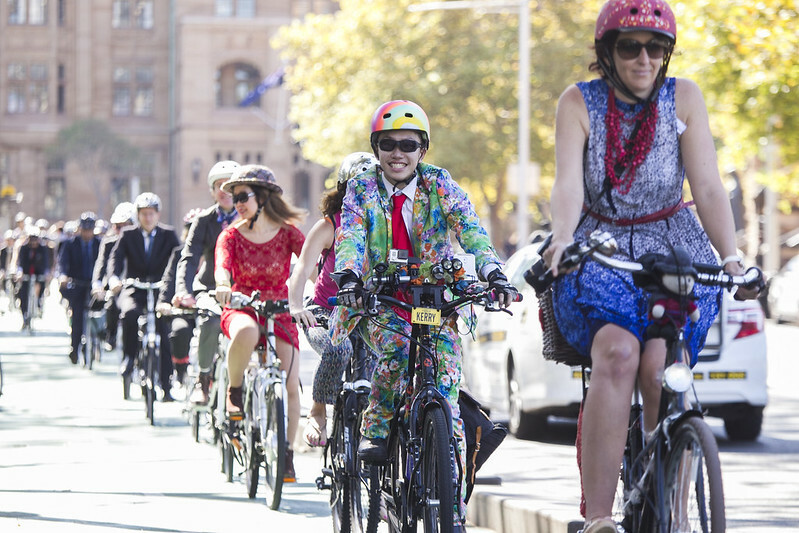 See the Facebook image gallery of the Sydney Suit Ride. 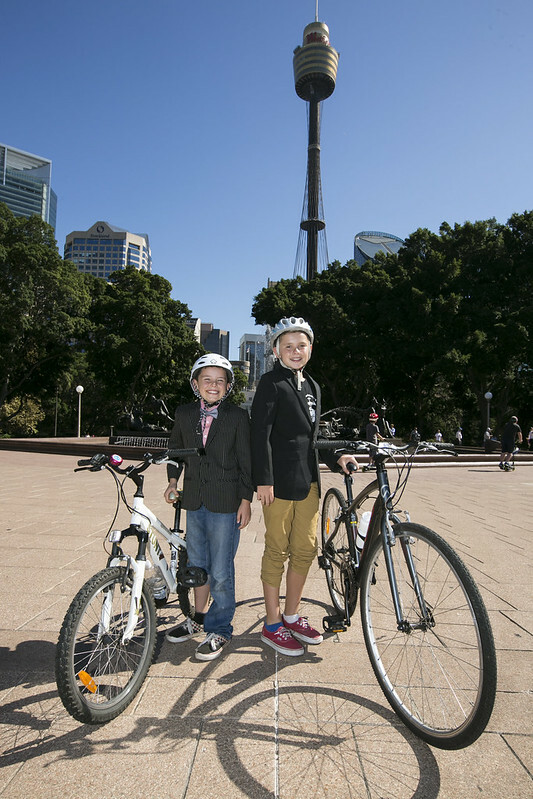 The Sydney Rides Business Challenge is a free and fun business-based competition to encourage more people to give riding a go and discover the joy and benefits of bike riding. 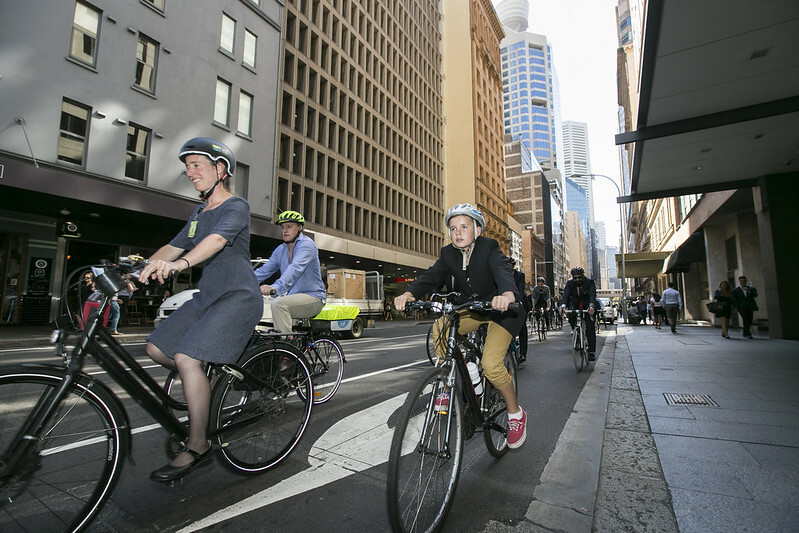 It’s part of a worldwide program that has seen more than 112,000 participants from 5,200 organisations across seven countries competing in similar events over the past 12 years.